Gentle reader, it&apos;s time we had a talk. We&apos;ve noticed you&apos;ve been behaving rather, well, peculiar lately. You know, like how you&apos;ve been describing leaving your car in your driveway as Med-mooring. And how you&apos;ve been referring to 30-odd-foot speedboats as tenders. —you&apos;ve been overheard asking technicians if your baitwell can keep piranhas alive better that the fish tank aboard the pirate ship Bart Roberts (no. 27) and, when told it can&apos;t, challenged the poor souls to a duel by sword or pistol. Relax. You&apos;re in good company. After all, we&apos;ve been compiling stats on (read: obsessing over) and tracking (read: chasing after) the largest private cruisers in the world for more than 20 years. And if you still have any doubt that you have lots of company, take a good look at the time stamp on some of the posts on our Megayachts forum; there are a bunch of sleep-deprived Europeans and Aussies playing yacht trivia and waxing poetic about Octopus at all hours of the morning and night. 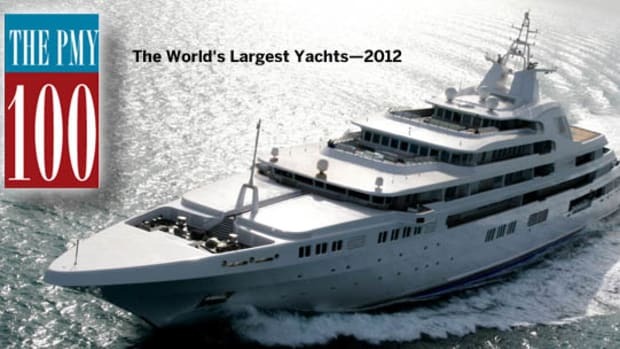 So without further ado, here are the largest yachts in the world. Just as we did with last year&apos;s edition, we&apos;ve included the five largest yachts owned by heads of state, listed separately at the end. 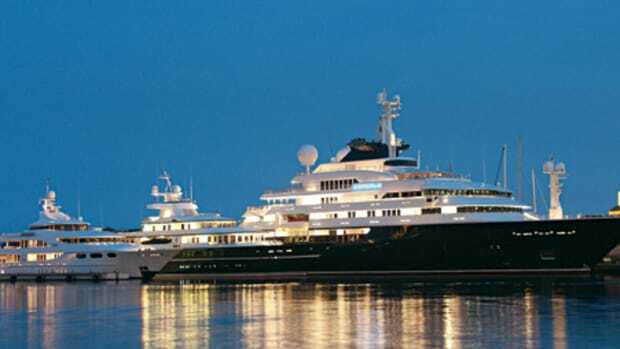 For the second year in a row, we&apos;re taking a separate look at the five largest yacht maintained by heads of state. 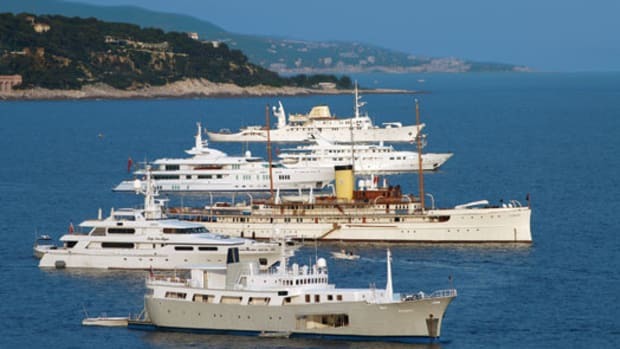 We list them this way because whether a state yacht is used for private cruises or official government business, arguably each comes at the taxpayers&apos; expense. They&apos;re also registered as part of the country&apos;s naval fleet. Now, this separate categorization is not to imply that these yachts are any less captivating—on the contrary, their sheer size is enough to make Rising Sun and Octopus look like bathtub toys in comparison. And chew on this: With other even larger craft rumored to be under construction for other heads of state, they&apos;ll soon be given a run for their money.